WELL HELLO NEW ADDITION TO MY FAVOURITE BOOKS EVER LIST. 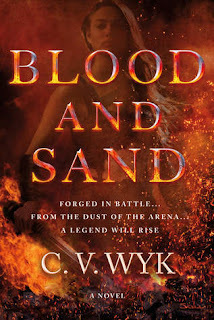 And yet, C.V. Wyk’s debut novel BLEW MY MIND and had me SERIOUSLY INVESTED in her characters and at the edge of my seat, waiting for more. Which reminds me, IF SOMEONE COULD KINDLY HAND ME THE SEQUEL NOW, IT WOULD BE MUCH APPRECIATED. HONESTLY. 1. The pace of this book was STUNNING. It was fast paced but not brutal and there was never a dull moment. 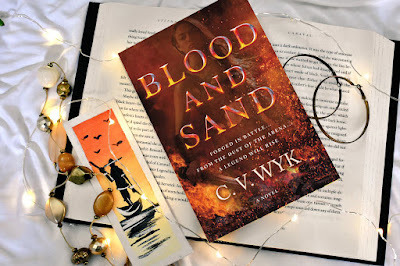 I loved who C.V. Wyk unravelled and created this world, made us fall for her characters and their need to be free from their chains and IT WAS SUCH AN INSPIRING, WONDEROUS, BRILLIANT STORY. 2. 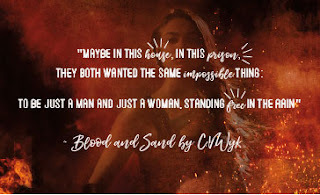 I ABSOLUTELY LOVED ATTIA AND HER WARRIOR SPIRIT. She was truly an epic, unafraid, weapon wielding badass who let absolutely NOTHING stand in her way and nothing dampen who she was. Her pain was raw, her healing from her tragedy was beautiful and GOD SHE WAS JUST SUCH A WONDEROUS CHARACTER TO FALL IN LOVE WITH. 3. This book was set in Rome and there were Gladiator brothers, scandals, politics, slaves and everything FELT SO AUTHENTIC AND YET, there was no brutality, making this book suitable for younger readers as well. Also, SPARTACUS WAS FEMALE. THIS BOOK HAD A FEMALE BADASS REBEL AND UGH IT WAS SO BEAUTIFUL. 4. The fierce undefeated gladiator, Xanthus, who is also the Champion of Rome was an ADORABLE MUFFIN AT HEART and it took me all of one chapter in his point of view to fall for him. I LOVED HIS PEACEFUL SPIRIT, HIS LOYALTY and most of all, HIS RESPECTFULNESS TOWARDS ATTIA. Yes for boys in literature that show that nothing is MORE IMPORTANT THAN CONSENT. 5. The ending, the last scene and WHAT IT ALL MEANS FOR BOOK TWO was mind blowing. I also don’t THINK that a certain aspect of the ending will remain in book two and I’m really hoping for that. Should you read this book?! YES. RIGHT NOW. GO. READ. IT. An absolute masterpiece from a debut author that will make you fall in love, make you hope, leave you in awe and inspired by it's wonderful cast. 5 GLOWING, SWORD SHAPED STARS. C.V. Wyk is the author of BLOOD AND SAND, debuting from Tor Teen in winter 2018. Born and raised in Los Angeles, CA, Wyk now resides on the east coast along with a precocious mini poodle and demanding guinea pig. 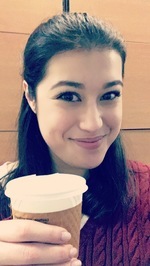 In her not-so-spare time, she enjoys playing MMORPGs, kayaking, coding, hiking, staring listlessly at blank walls, and nursing a totally healthy coffee addiction. Find Wyk online at www.cvywyk.com. What are some of your favourite historical fantasies? 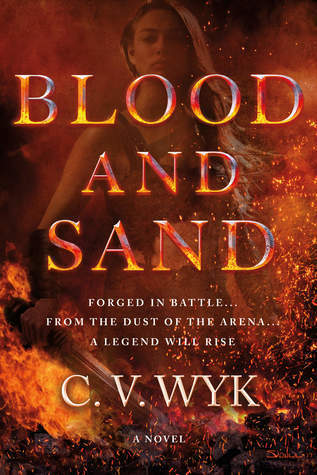 Blood and Sand is already the SECOND Roman Inspired fantasy I've read this year and I've LOVED both of them. Do you have any more recommendations for me? Whatt have some of your favourite 2018 books been?